Pages tagged "Fix Problem with Landlord"
Mediation is a voluntary process in which people with a disagreement meet together with a trained, impartial mediator. The mediator listens to both sides and guides the parties in clarifying and discussing the issues, identifying areas of agreement, developing possible solutions, and writing their own mutually satisfying agreement. What is the Housing Mediation Service? Housing Mediation Service began as a joint project of Tenant Resource Center and the Apartment Association of South Central Wisconsin and is designed to provide low-cost mediation services for the resolution of rental housing-related disputes. The service provides a quick, inexpensive alternative to small claims court. For non-eviction cases, the cost is typically $40 per party. This is a donation to help cover the costs of providing this service. For low-income individuals or families there is a sliding scale. It's voluntary. No one is obligated to take part in mediation. It's inexpensive. At eviction court in Dane County, mediation is free. Out-of-court mediation is $40 per party, much less than small claims court. For low-income individuals or families there is a sliding scale. If an eviction case is already pending, the fees are waived. You get quick results. A meeting can be set up within about two weeks of the request, depending on the availability and willingness of both parties to mediate. In small claims court, you may wait weeks or months to have your case heard. It's confidential. The mediation files and written agreements are kept strictly confidential. Small claims court cases are public on CCAP. What disputes might mediation resolve? Tenant-Landlord: Eviction, noise, security deposits, nonpayment of rent, nonrenewal of lease. Roommate-Roommate: Noise, guests, privacy, common areas, household duties. Neighbor-Neighbor: Pets, noise, communication problems. What if we're already going to eviction court? The Housing Mediation Service provides free eviction mediation services before and during small claims eviction court hearings in Dane County. A court-enforceable agreement (or "stipulation") can be reached through mediation and filed with the court. These agreements are typically either payment plans that allow the tenant to remain in the apartment or move-out dates that enable the tenant to secure alternate housing. If the terms of the agreement are met, the tenant will not have a judgement of eviction on their court record about the case. Instead, the case will show up as being dismissed. Mediated agreements are just as legal and binding as those written by the court commissioner. Mediations can be scheduled prior to the court hearing, or even in the place of a court hearing. The process to set up eviction mediation is the same as for other disputes: call (608) 257-0006 x8. Not in Dane County? Try the Wisconsin Association of Mediators website. Our volunteers have received professional mediation training and know the basics of tenant-landlord law as it relates to eviction procedures. The mediator's role is to facilitate communication between the parties and exploration of the options and possible solutions. Mediators cannot guarantee that the problem will be solved, provide legal advice, or take sides. The ultimate resolution is up to the parties in dispute. The first step: Call the Housing Mediation Service at (608) 257- 0006 x8 and leave your name, contact information, and an explanation of the issue you need to resolve. We will contact you within one week. For eviction court mediations, we send a post card and make return calls on Mondays. Mediators are at the small claims court when you arrive. Gathering Information: For out-of-court mediations we will ask you for information about the dispute and how to contact the person with whom you are in conflict. Scheduling a mediation: For our out-of-court mediations, if our services can help, we will contact the other party. We will discuss the merits of participating in mediation. If the other party agrees to mediate, we will schedule a meeting time when our mediators are available. The entire process is completely voluntary. At the mediation: At the mediation session, a trained volunteer mediator will listen to both parties and guide them in clarifying the issues, identifying areas of agreement, developing possible solutions, and writing their own agreement. The sessions for non-eviction cases usually take 1-2 hours. The mediator does not take sides, nor decide who is "right" or "wrong," but simply helps facilitate open and constructive discussion of the issues involved in the dispute and guide the parties toward resolution. Reaching an agreement: When an understanding is reached, the terms are written down by the mediator. All parties sign the agreement as an acknowledgment of their commitment to abide by the terms of their mutual agreement. This can be used later in court, if necessary. The Housing Mediation Service began in 1995 as a joint project of the Tenant Resource Center and the Apartment Association of South Central Wisconsin but is now implemented only by the Tenant Resource Center, with some pass through funds from the City of Madison (25% of the funding) that allow us to help people in Dane County. 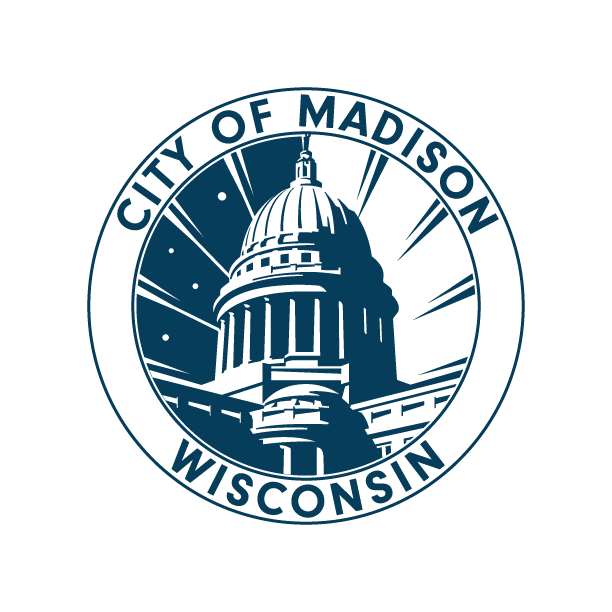 Tenants who receive mediation services at eviction court will be asked for personal information that will be entered into the Wisconsin Homeless Management Information System (HMIS). This is voluntary, and client confidentiality is carefully protected. Please review the HMIS Consumer Notice for more information. In addition to our mediation program, the Tenant Resource Center also provides free information about tenant rights/responsibilities, relevant housing laws, and basic information about the court process in general to tenants at eviction court in Dane County before you go into the hearing room or into mediation. Please note that our housing counselors are not attorneys and will not be able to give legal advice or represent you in court. Limited funds may be available for nonpayment of rent for those who qualify. For more information, please see our Eviction Clinic page.